Discover how schools use signage to improve communications. Sophisticated, but easy-to-use digital signage for any application. Deliver compelling content at the right location at the right time for maximum impact with iCOMPEL™ digital signage solution. Businesses choose digital signage because no other medium makes it possible to deliver such an impact. This award-winning solution for networked signage is packed full of features and benefits. Enjoy features like touch interactivity, HTML5 support, transitions, transparency, localized customization, streaming video, and a whole host of other advanced features. All digital signage software is pre-installed and updates are free. Just pay one up-front cost. No expensive licenses are required year after year. iCOMPEL is easy for beginners, but sophisticated for large-scale, complex applications. It's no simple digital signage media player with limited capabilities. With brilliant 4K UHD output from one to 1000s of screens, iCOMPEL ensures a great user experience. Distributing content on your own network allows for better security and policy controls to be in place. It also provides an additional layer of security since it's all behind firewall devices. So, if your login credentials are compromised, a hacker cannot get to the content management system to use them. Display content from one to up to thousands of screens or more just by adding more iCOMPEL players. 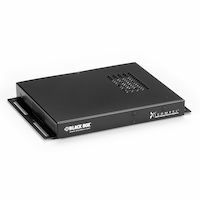 Unique application-based digital signage player stores data locally ensuring that you're covered if network connection is lost. Each playlist runs in a continuous loop per a preset schedule. Different layouts can be scheduled to play at different times of the day. Our digital signage solutions are ideal for retail, hospitality, small business, corporate settings, hospitals, government buildings, or college campuses. Multiuser, multi-channel content management system for your iCOMPEL or mixed network digital signage systems. Multi-user, multi-channel content management system for your iCOMPEL™ or mixed network digital signage systems. Multiuser, multichannel content management system for your iCOMPEL networked digital signage system. Multi-user, multi-channel content management system for your iCOMPEL or mixed network digital signage systems. 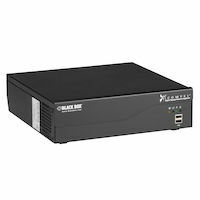 A powerful planning, design, distribution and management appliance for smaller digital signage networks. Keep your iCC up to date with the latest features. Upgrade your iCOMPEL Content Commander from 1000 to 1500 subscribers. Upgrade your iCOMPEL Content Commander from 100 to 500 subscribers. Upgrade your iCOMPEL Content Commander from 500 to 1000 subscribers.